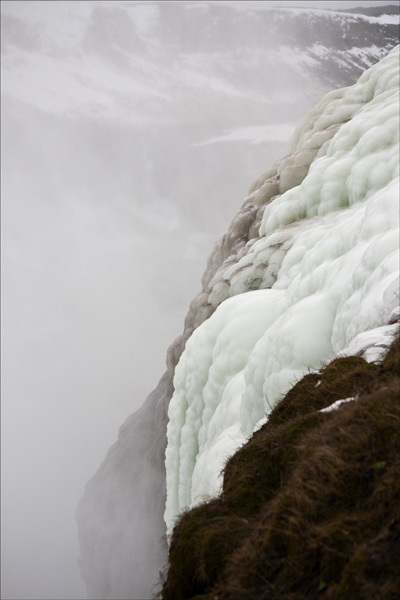 Ron and Maggie Tear Photography: Gullfoss ice wall. The continuous spray from the volume of water passing over this fall resulted in large ice sheets. A precarious to get to, but fantastic patterns in the ice. Gullfoss, Iceland, Arctic, Alantic Ocean.